Tidal needs a financial partner. Sprint needs new customers. The two businesses just took a step toward addressing each other’s needs. Sprint has announced a 33-percent stake in Tidal, which will “give Sprint’s 45 million retail customers unlimited access to exclusive artist content not available anywhere else,” according to a press release. In other words, the relationship promises to deliver content from Tidal artists only to Sprint’s current and new customers. Sprint’s chief executive officer, Marcelo Claure, will also join Tidal’s board of directors. 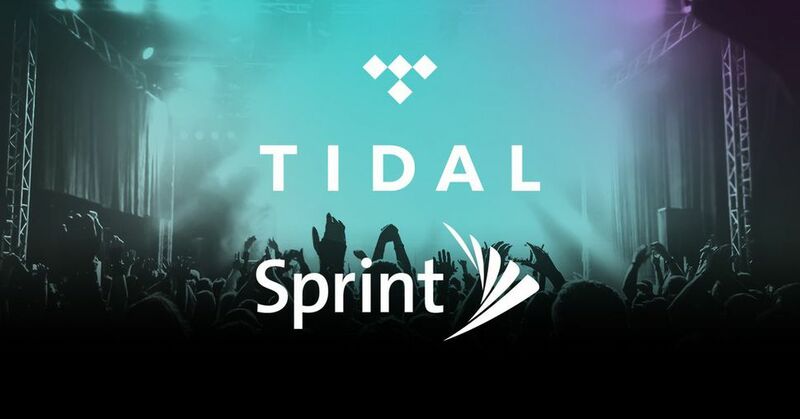 Exclusivity: Sprint will rely on Tidal to provide content available only to Sprint customers. That content could potentially assume a variety of forms, including the release of exclusive songs, concerts, video, and experiences involving augmented reality and mixed reality. Commitment: as noted in the press release, the relationship will “include the establishment of a dedicated marketing fund specifically for artists. The fund will allow artists the flexibility to create and share their work with and for their fans.” According to Billboard, the fund will consist of $75 million annually. Jay Z, the major owner and founder of Tidal, has a well-established track record for forming distribution deals with brands. He created the template for the Sprint/Tidal deal in 2014 when he and Samsung agreed to distribute one million copies of his Magna Carta Holy Grail album through a special app exclusively on Samsung phones before the album went on sale publicly. Samsung reportedly paid $5 for every album, meaning Magna Carta Holy Grail sold $5 million before a consumer purchased a single copy. Samsung became a music distributor overnight (a model that Samsung later repeated with Rihanna). Jay Z rebooted Tidal amid considerable fanfare after buying the company in 2015 with the promise of high-quality streaming content from an artist-owned business. (At the time, Sprint was exploring but did not commit to a relationship with Tidal.) But Tidal’s journey since then has been problematic, with the company losing millions and suffering some high-profile PR problems. Tidal said it enjoyed an increase in users after Beyoncé launched Lemonade exclusively on the streaming service before making the album widely available, and, overall, Tidal claims more than three million subscribers — but the company has been accused of inflating its numbers. Meanwhile, Sprint is looking for leverage in its war with AT&T, T-Mobile, and Verizon to acquire and retain wireless customers. Verizon Wireless leads the pack, with nearly 144 million U.S. subscribers, while Sprint ranks a distant fourth, with 60.2 million subscribers. T-Mobile, with 71.5 million subscribers, claims that the carrier stole nearly a million subscribers from its rivals in the third quarter of 2016, including 300,000 from Sprint. For Sprint, one answer to fighting back is to provide exclusive content and customer experiences. For years, telecom carriers have tried to out-do each other by offering so many combinations of services and billing options that the industry has become a bewildering experience for consumers. There are only so many ways a telecommunications carrier can continue to offer service packages. Providing interesting content and customer experiences is a way to differentiate, which is why Sprint recently signed a relationship with Niantic to offer branded Pokemon GO experiences. Sprint has been offering music content for quite some time. In 2005, Sprint launched the Sprint Music Store, a partnership with labels such as EMI and Sony BMG Music Entertainment to sell songs. Sprint learned early on how to hustle music to acquire customers, for instance giving away five free songs to customers at launch. In 2007, Sprint was the official wireless sponsor of the MTV Music Awards. Sprint was more than a sponsor, though — it distributed content, offering a free live simulcast to Sprint Power Vision customers. In 2011, Sprint launched Sprint Music Plus, a free app for Android users to organize their music libraries and purchase songs and ringtones. Sprint’s efforts to date have largely centered on song downloading. With the Tidal relationship, Sprint has updated its music distribution model for the age of song streaming. And for all its operational problems, Tidal possesses a brand name and the backing of not only Jay Z but also founding artists such as Beyoncé, J. Cole, Nicki Minaj, and Rihanna. (J. Cole recently released a surprise documentary, Eyez, on Tidal). The Tidal deal gives Sprint a wellspring of music content that will target younger consumers with the powerful lure of new music — so long as Tidal continues to develop fresh artists, which is why I am especially intrigued by Sprint and Tidal earmarking funds to market artists. The fund could be a boon especially for developing emerging artists who need the money far more than Rihanna does. Here is a golden opportunity for Sprint to develop its image as a forward thinking lifestyle brand of the future by developing up-and-coming artists, as many other brands have done so through an association with music. For instance, Converse operates the Rubber Tracks recording studio to give emerging artists free studio time. Coca-Cola has given exposure to new artists around the world through initiatives such as “52 Songs of Happiness.” Potentially, Sprint could offer its customers a first-look at emerging artists on Tidal, thus providing its customers a sense of hipness that comes with being the first in the know. The proof of the pudding will be how well Tidal helps Sprint acquire and retain customers, which is a measurable number. If Tidal helps Sprint create momentum, Sprint’s shareholders will sing a happy song. If not, Sprint will inherit a bit more than 99 problems. Stay tuned. This entry was posted in Music and tagged David Deal, Jay-Z, Magna Carta Holy Grail, Rihanna, Samsung, Sprint, Superhype, Tidal. Bookmark the permalink.